Penspen’s established asset management service in the UK has been successful in securing a contract with SGN to deliver a Gas Pressure Control Level 3 NVQ (National Vocational Qualification) Diploma over the next two years. This training is for the development of SGN's pressure control staff to ensure their continuous development and compliance with required safety technical competencies. The completion of the NVQ programme will be led and delivered from Penspen's purpose built training centre in Neath & SGN’s training facilities in Ashford. The course will also be supported by SGN’s own staff in the field. 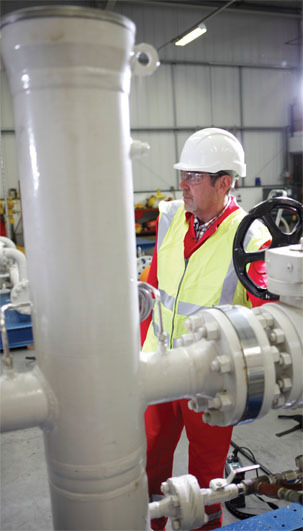 The 12 week Pressure Control Training Course provides hands-on experience in the functional maintenances and overhauls of pressure reducing equipment across all pressure ranges, up to and including high pressure systems. The training plan will build upon learners’ knowledge and understanding in a logical sequence and will be delivered over an 18 - 24 month period, with the learners attending formal off-job training in two groups, approximately every 6 - 8 weeks. Understand the operating standards and the legislation that impacts upon owners and operators of gas pipelines and assets. Penspen has been providing engineering, project management, asset management and integrity services to the oil and gas industry worldwide for 65 years. Originally founded in the UK in 1954 as Spencer & Partners, the company has now grown to include over 1000 engineers, with major offices in London, Bristol, Newcastle, Neath, Houston, Mexico, Abu Dhabi and Bangkok.